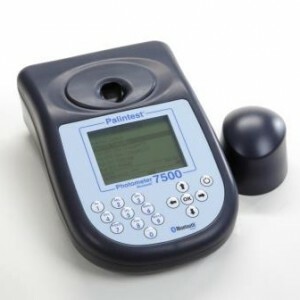 Our offering of highly accurate chemistry analysis Photometers are the tool of choice for the field chemistry technician. Accepta offer a range of high performance multi-parameter photometers & sensor units to suit most water quality testing and analysis requirements. Our photometers comprise a portable, lightweight unit, suitable for extended in-field analysis procedures or immediate process monitoring tasks. They are an ideal portable analysis tool and can be used for an extensive range of water tests, delivering accurate, reproducible results very quickly. As well as this our Palintest sensor units provide high accuracy measurement of chlorine and chlorine dioxide in the field using innovative sensor strips. Photometer Standard Kit comes with additional hardcase for easy transportation by water treatment engineers. Test parameters displayed in the description below. Boxes come with tablets for 250 tests.